WHAT IS 3D CURVED GLASS ? Curved displays are stylish, Our distinct molded glass design hugs your display for coverage. 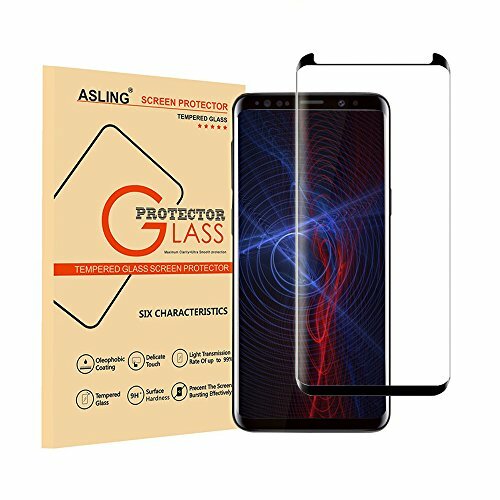 This is unique product which it providing superior, edge-to-edge coverage for maximum protection. 9H High Hardness Glass: Protects the screen from scratches from knives and keys, offering superior durability and scratch prevention. 3D Curved Design: Adopt the hot bending technology, arc design, perfect fit you phone and protect its screen. Import Glue: Strong silicon adhesive features firm attachment while not affecting the sensitivity of the screen. 0.2mm Thickness Glass: ultrathin, bring you original use feel. Anti-fingerprint and Dust-proof: The screen protector features oleophobic coating that resists oils to reduce disturbance, let you enjoy playing game in your phone. [ULTIMATE PROTECTION] Made of the 9H hardness high alumina silica glass. Featuring maximum protection from high impact drops scratches scrapes and bumps. And Protects the screen from scratches from knives and keys offering superior durability and scratch prevention. If you have any questions about this product by ASLING, contact us by completing and submitting the form below. If you are looking for a specif part number, please include it with your message.